This piece is from Bolivia. It is part amethyst and part citrine – ametrine. 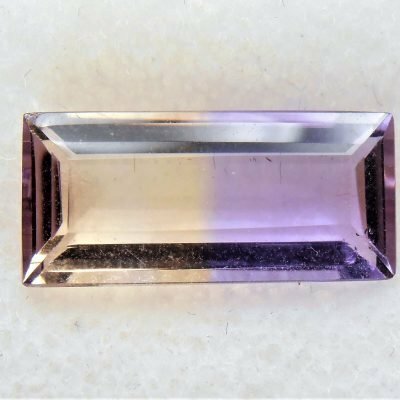 It been faceted into an emerald cut gemstone measuringÂ 14 x 9 mm. It weighs approximately 5.5 carats. This piece is from Bolivia. 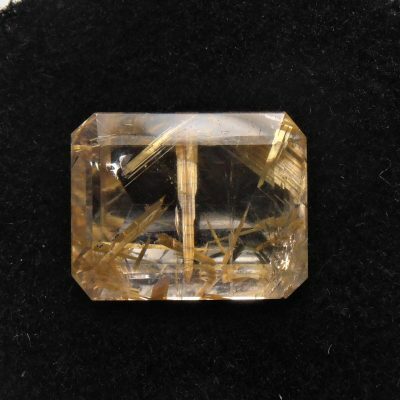 It is part amethyst and part citrine – ametrine. 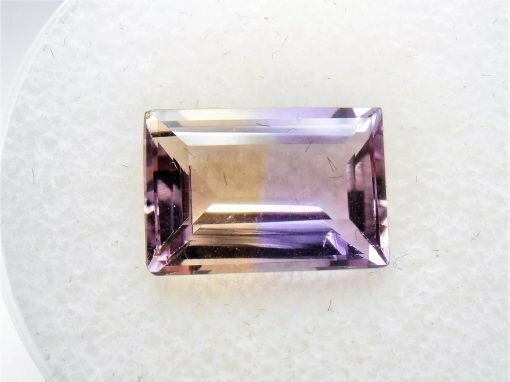 It been faceted into an emerald cut gemstone measuring 14 x 9 mm. It weighs approximately 5.5 carats.